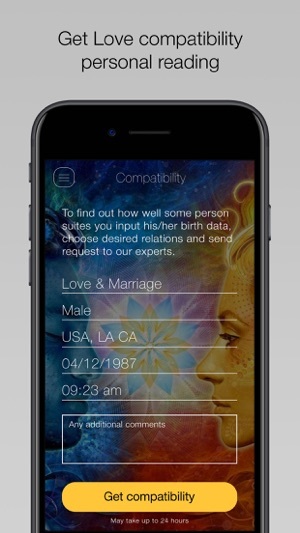 Chaturanga — is your direct, personal and fully confidential chat with professional astrologers. If you don't believe in coincidences and sometimes wish to have a compass for life navigation, Chaturanga is here to help you, whether your question is specific and direct or strategic and general. Just share your birth data and ask the question. It will be forwarded to our team of astrological consultants, who will make your natal chart and based on this chart will give you the answer shortly. First consultation is free and to ask more questions, you can either buy them one by one or use packs and invitations to get discounts. We all are different and unique. Our zodiac signs, positions of planets and other celestial objects affect all aspects of our lives every second, so you can ask anything you want. - What kind of business suits me the best? - What kind of partner do i need to build a happy family? - How should I plan the upcoming day for it to pass smoothly and happily? - I’m nervous about important negotiations next week. Should i go for the deal and how can I prepare? - Why I feel so bad las days? - Nobody loves me, what’s wrong with me? - Should I move to another country? Get your personalised life guide, containing favourable and negative periods, recommendations and insights you need to surf your life smoothly and happily. Based on your natal chart, our astrologers will build report regarding such essential life aspects as love, health, career and money. Few astrologers are remarkable. Chose wisely. I changed my review from 1 star to 5 star. The predictions are usually coming true so far. I would say most of them. Its true that you can’t rely 100% on this & you should never be having blind faith but it seems to be helpful to know something. Some questions could be very tough for them too. I like how we have enough space to type in unlike apps where you literally struggle to explain yourself. I get more value for my money paid when I can include enough words to ask. I would recommend astrologer Vikas Bhardwaj. Hi! Well.. I just recently started using this APP, like everyone else looking for answers. 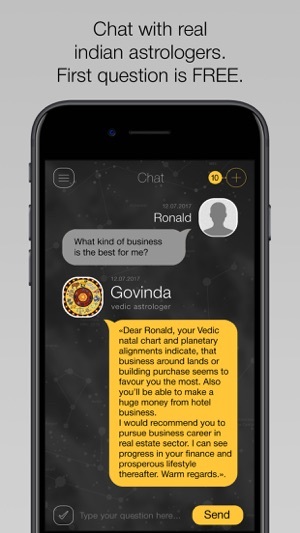 I would want to give a great review to my astrologer Sandeep Charma; I probably have asked the same question in all different ways but the answers have been all very personalized, I find that very welcoming and also makes me feel like it’s not just an app. I have found my answers very helpful and following advices provided to me. So! If you are looking for a bit of help based on my experience, get this APP. I will be reaching out to Sandeep as many times as I need. :) thank You!! Do not ask anything that involves a date. I’ve had this app for over a year now and only once was a date that I was given correct. Other than that dates and time frames are almost always wrong or they change completely when you when you ask again. Sandeep is amazing though and I recommend him/her if you wanna know what someone is thinking. I’ve asked questions I already knew the answer too and was blown away when my answer matched what I already knew. 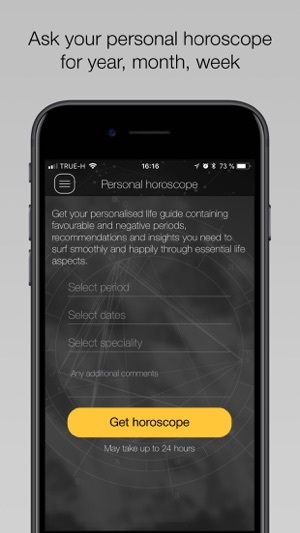 We do understand your concern, but Astrology is based on calculations /probabilities/permutations and combinations, that are made on the birth details mentioned. the minutes details variation , may lead to difference in timing of event in our lives. Yet we will fallow your suggestions and try to reduce this time lapse..